May be you are a beginner in the online marketing field or an expert; or you may be honing your blogging skills or just going to be a well known entrepreneur; be it anything however you will definitely need the best SEO tricks to maintain your online presence. Here, in this blog post we have included some well known online marketing tricks and trips that are offered by experts. If you use these strategies then we are sure that your blog will definitely reach to the path of success. There are some of the well known bloggers whose articles and blogs you read on daily basis. This can be because those posts are related to your interest or include the tips and tricks that can be used as the pieces of helpful advices. The online marketing experts whose tips we are going to show here have 512 blog posts and each post has 4000 plus words. It takes 18 minutes to read a single post. This is the long form content marketing strategy that specialists prefer to use now days. So, what is to be done when there’s too much of information to read? Internet moves very fast and here is the data that reveals how far it is? 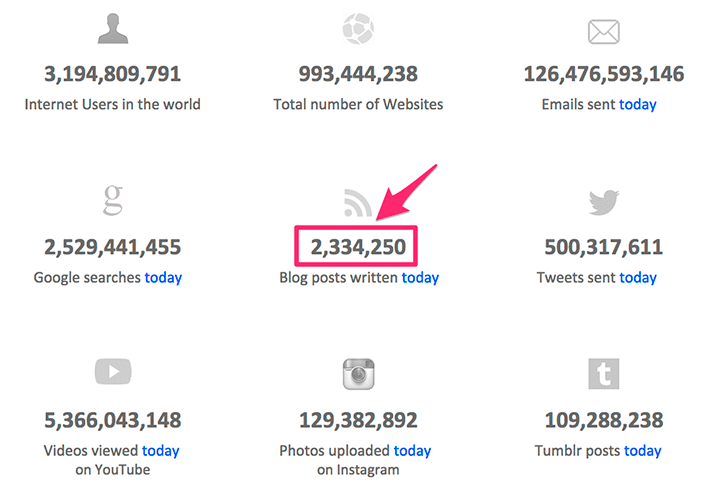 Every day two million plus blog posts are written on the internet. So, how can one stand out among such huge competition. Where one must concentrate in order to get high traffic? The best people and material can be the considered the most. After doing a deep research and consulting experts; we have found some content marketing strategies that are widely used by these experts. Every day these strategies are used by experts in their blogs. Among these, Neil patel’s blog is visited by more than 100000 users every month. The main rule that these blogs actually use is 80% promotion and 20% content creation. It is now widely used by many bloggers. Once you achieve the goal and become as successful as one of the above bloggers then this rule can be changed to 50-50. According to a famous blogger Brian Dean; one excellent post takes about 15 -20 hours to get completed because a thorough research is needed to write the post. SEO strategy according to Brian Dean is divided into three stages: Keywords, Content and Promotion. So, you must first search for right keywords as the traffic ranking directly depends on keywords based on which the entire article is optimized. For those who are beginners in the field can follow the advice and choose long tail queries and then you can easily stand out if you have useful material with you. You can download Moz Bar to know the number of page visits, links etc. To get deeper in the process, it is necessary to opt for Professional SEO Analysis. It is impossible to make your blog a good source of income if its SEO is not proper. Your business needs it. 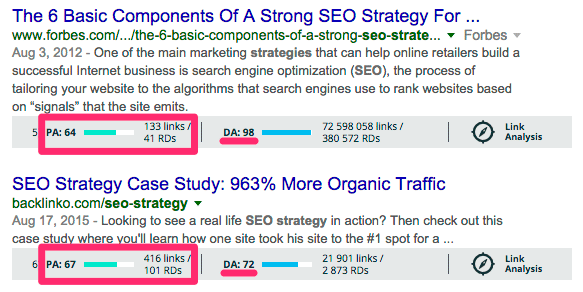 What are the strategies used by other SEO Experts? One of the SEO Experts Robbie Richards wrote its first post in July 2014 and after finishing 15 posts; he started teaching others how to reach over 2, 00,000 site views per month. So, how can a blog reach 200000 views? Your posts must be long enough with sufficient images to attract users. Also, some of its posts include affiliate links which help Richard to have lots of income. While writing the title of your blog post; keep in mind the use of title tag. The title tag of all expert posts includes 56 characters. The title is a bit descriptive and this makes it easy for users to easily understand what the blog post actually contains. It is not necessary to start the title with target keywords however if there’s a keyword that you hunting for then it should be used at the beginning of the title. How header tags are written by online marketing experts? Generally; we can see that H1 is same as the title with an average length of 55 similar characters. Main keywords are always there in H1 tags. Hence, it is easy to understand the main keywords while analyzing the SEO. These main keywords are actually written in large print and colour in the general style of the blog and it is located on visible parts of the screen. Just click on their article in Google Search results and then look into their sub heads. Using H2, H3, H4 makes the reading process easier. An important part that even experts fail to use sometimes is meta description. Today, digital media is widely accessed via mobile devices hence if you wish that a mobile user should see your complete description in Google results then make sure to include a meta description of not more than 117 characters. Experts use meta descriptions of roughly 120 characters. Number of images to be used and how can these be optimized? It is necessary to be unique and one of the best ways to do so is to add images to your blog posts. Most of the people are already aware of this trick and hence it is used on larger scale. We can see blog posts with slides, infographics, animated images and videos. Marketing kings use lot of images and screenshots and sometimes it seems they spend more time as they do on their projects. These will definitely pay them in the long run. Talking about expert Niel Patel; he uses paid stock image as the main blog image. Such paid images are available from Shutter stock. So, this means make your blog interactive by using images as this will keep the users stuck to your blog. So, next time when you wish to develop a blog post; make sure to keep these things in mind. These are just few steps. There are many more things to be taken care of which we will discuss in the second part. Wish to get more of such detailed guidance regarding improving your blog posts then stay connected with Platinum SEO; SEO Company Sydney.